Capitol Navigators, Inc. is a full-service public affairs firm delivering the very best in lobbying and grassroots services at the state level. 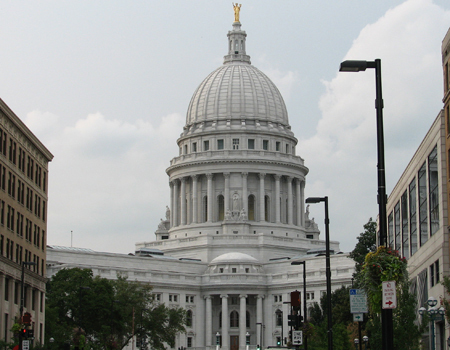 Specialists in Legislative Lobbying, Contract Procurement, and Issue Advocacy -- Capitol Navigators, Inc. guides the way to successful public policy outcomes in Madison. Government makes decisions every day that impact your organization. New rules. New programs. Huge budgets. These decisions create challenges as well as opportunities. The right government affairs team can make the difference between success and failure for you and your organization. Capitol Navigators offers unparalleled access to top decision-makers in Wisconsin. The abundance and strength of these relationships makes our team uniquely able to reach key public officials – both elected and appointed. Capitol Navigators can open doors to get your message heard by the right people. Capitol Navigators understands that often our clients’ best avenue for success lies outside the legislative or regulatory arenas. Sometimes our clients need to make a broad appeal to the electorate through print or broadcast media in order to deliver the most effective message. In those cases, our team will develop and execute a communications plan to identify key targets, create the right message and utilize our statewide contacts with various news outlets including the capitol press corps.